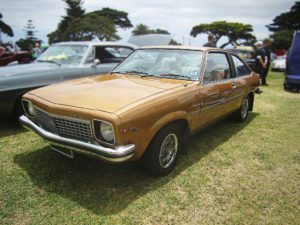 The LX Torana was the second vehicle in the third generation of Holden Toranas. The LX model was first produced in early 1976. There were some major cosmetic changes to this model of the vehicle to significantly change the body style. 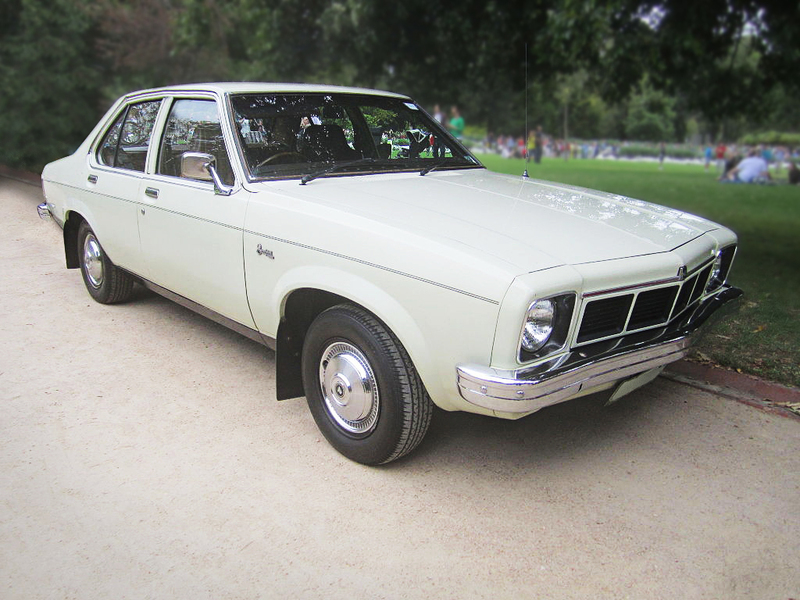 For example, the headlights were round instead of rectangular (as they were on the Holden LH Torana). The body pieces surrounding the windows were body colour instead of black making the vehicle look flashier. Last, the Holden badge on the front of the vehicle was slightly larger. The LX model also offered a hatchback option with an 1897cc engine; however, the two-door vehicle did not have the unique body style upgrades as discussed prior. It was more of the plain body style used in the LH model. However, the LX did have three models of the hatchback with an SL, SS, and SL/R model. 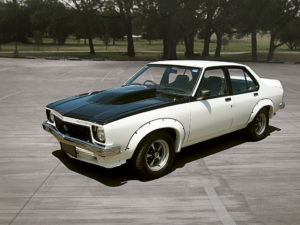 The LX Torana SL model was available as a sedan or a hatchback, while the SS model was only available in the hatchback. The SL/R 5000 model was a sedan version, but it did have a hatchback version in the SS model that had a nice V8 engine (5.0 litre) that was visibly different with 5.0 litre badging and a smaller spoiler to make it standout more. The SL/R 5000 sedan was different that all other sedan models because it had a ‘painted’ bonnet and lettering on the spoiler and doors. The T-bar Trimatic became available in the all V8 engines (5.0 litre) in the SS and SL/R models. If this option was chosen, the vehicle interior was given more sporty look which orange graphics and a silver dash. A new stalk with a headlight flash and dimmer was fitted along with nice bucket seats. The exterior was enhanced with round seven inch headlights including halogen inserts. Note: During 1976 Australian finalized its scale conversion system by converting to the metric unit. With that said, kilowatts (kW) were now being used to specify power output as opposed to horsepower (hp). After this ruling all XT4 engines used in the Holden vehicles were updated to meet the guidelines and reduce emissions. The engines were redesigned similar to those used on all models in the HX model line-up, including components such as camshafts, carburettors, distributors, and compression ratios. 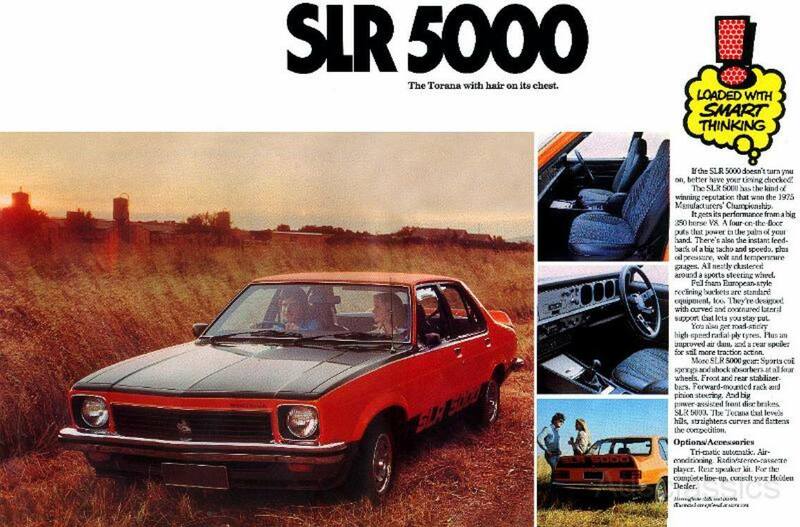 By late 1976 a new model of the Torana LX was launched called the Sunbird. It featured a four-cylinder 72 kW (96 hp) engine with either four-speed or three-speed automatic transmission. In fact, Holden rebranded the LX so that all four-cylinder LX models were now featured as the ‘Sunbird’ while the six-cylinder and eight-cylinder vehicles were Toranas. The Sunbird and Toranas are slightly different physically with different grilles, wheel covers (chrome), and badgering with Sunbird. The Sunbird was available in a four-door sedan options or a three-door hatchback option. Both of those models also provided the RTS package as an option – radial-tuned suspension. This was the first handling type package of its kind providing a much safer and improved vehicle. A special perk of the Sunbird was the ‘fashion pack’ which offered plaid cloth and door trim in different colours. Bumper bars were available with rub strips. The LX series would not be the same without adding a performance racing vehicle. In 1977 the A9X Option was produced with the intent of winning the Bathurst 1000. The A9X Option included a V8 (5.0 litre) engine offered in the LX SL/R and SS hatchback vehicles, but looked very similar to the L34 from the Torana LH including an additional front scoop for airflow. The vehicle was enhanced with better brakes, axles and 10-bolt differential. Luckily the A9X Option, driven by Peter Brock, won the 1977 Sandown Hang Ten 400. However, he drove a disappointing race at the Bathurst that same year losing to Ford. Some refinements were made making the A9X a dominating vehicle and one to beat. In 1978 and 1979 Peter Brock and Bob Morris drove to victory wining the Australian Touring Car Championship and the Bathurst 1000 (driven by Peter Brock and Jim Richards) in both years. 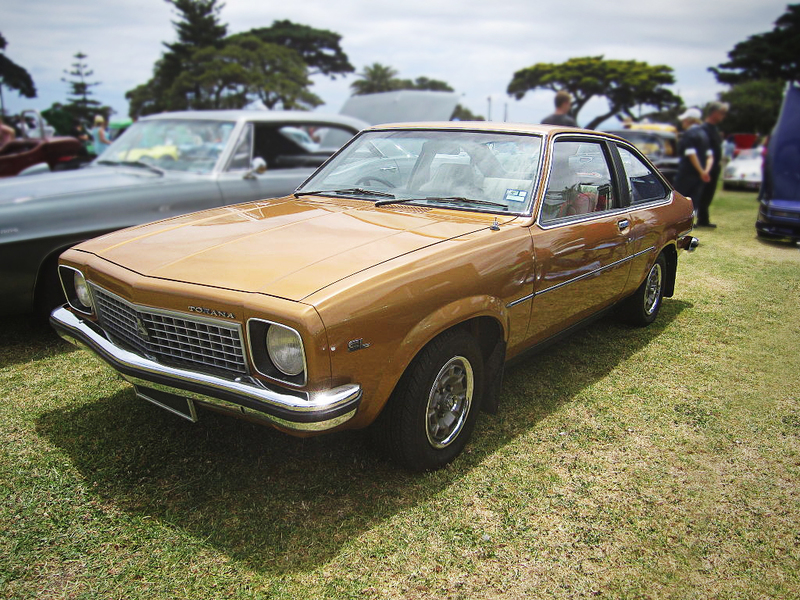 The LX Torana model line-up was well received and produced roughly 66,000 vehicles. Power front disc brakes all models except S.
SL identified by bright trim surrounding tail lights. SL sedan wheel trims different from SL hatch (SL hatch used SL/R wheel covers). Four cylinder grille different from those on six cylinder and V8 cars. Auto sedans used T-bar shift lever and auto hatchbacks had new ‘pistol grip’ lever. A9Xs used HQ – WB stud pattern wheels. Hatch Hutch tent sold as a camping accessory for hatchback cars. Split fold down rear seat backs in hatchbacks. Radio fitted in centre console in hatchbacks, in dash for sedans. New ignition lock January 1978 to meet ADR 25A law. RTS models identified by badges on front guards and glovebox lid. Engine output figures now quoted as gross kW.